Finding the best places for you to see, to eat, to shop, to hang out ... that's what we do! 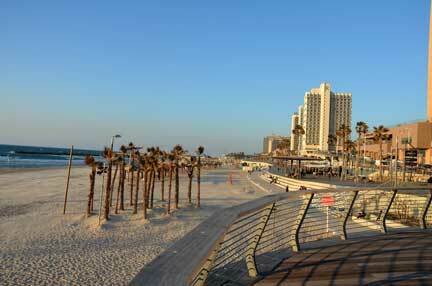 Tel Aviv is a diverse city with great museums, great restaurants, great shopping and a great beach. Regardless of whether you are coming to Tel Aviv for business or pleasure; if you live here or are visiting for just one day, Journey Tel Aviv will help you find the best places and make the most of your time if this awesome city. is being written by people who live in Tel Aviv, work in Tel Aviv and play in Tel Aviv. These locals know the places that make this city a great destination. Through Journey Tel Aviv they share them with our users. Tel Aviv is an ever-changing city and our staff works tirelessly to stay on top of that changing landscape. YES! Tel Aviv has places to see. It is a city bursting full of museums & art galleries – and we want to tell you about all of them. Journey Tel Aviv will show you how to get everywhere you need to go in Tel Aviv. works tirelessly to develop the best Travel apps – for both iPhone and Android smartphones. Journey Interactive is developing superior smartphone apps that act both as a city guidebook, AND as a discount book. To develop Journey apps for all of the major cities and tourist centers in the world. From New York to San Francisco; from London to Tokyo – those are the places Journey hopes to go. We will always tell the truth about the places we list. We will always try to get you the best deals on the places you frequent.